Drupal is an open-source CMS that was created by Dries Buytaert. Dries is a Dutch and his initial idea about the name of his project was dorp (a village in Dutch). Later he changed his mind and registered it as Drop (drop.org). The open-source nature of the project led to significant interest, and many contributors joined. In 2001, Dries lunch it as a CMS and called it Drupal (from the Dutch word “druppel” which means a drop). Drupal that we know today is a CMS that works under GNU General Public License, and it is written in PHP. According to W3Techs, 2%(August 2018) of all websites in the world use Drupal. Between them are Grammy.com, NASA, Harvard University, Nokia, London City and many more. It is open-source and free. The complete source code is available, so you can get it and use it according to the GNU license. It is an attractive platform for new website owners who don’t want to spend a lot of money. The core of Drupal has everything that you need to start a site – system administration, account management, layout customization, RSS-feeds and more. If you don’t want to start from scratch, there are plenty of templates available. You can modify the menus and create a good looking site that is suited for your needs. Drupal has an excellent article creation tools out of the box. With the help of some extensions, you can create stunning multimedia content that includes music, video, text, podcasts and more. The platform is well-organized. You can put the articles into categories, change their URLs and many attributes. You can manage, who can see specific content, who can edit it, who can see just the statistic and more. New users can experience difficulty understanding the interface. Yes, there are plenty of options, but it is often hard to understand how to use them. It has significantly improved over the years, but still, it is harder to understand than WordPress or Joomla. WordPress has taken the world by storm. It is the most popular CMS by a large margin, and that is an important factor. Even though there are many extensions for Drupal and big community, still WordPress has more. The most prominent developers have WordPress as a priority and put less time on extensions for Drupal. Most of the installations and updates are made through FTP. This makes it a bit harder to administrate in comparison with the competition. 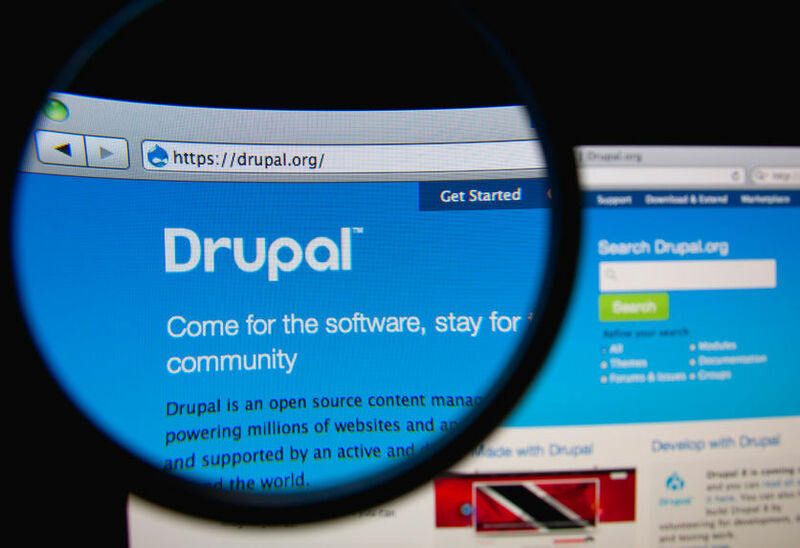 Drupal is the third most popular CMS out there, and it is worth your attention. It is very versatile, and it has a huge community behind. You can quickly adapt it to your need. Is it better than the rest? It really depends on your needs and your previous knowledge in site management and creation. It can be a bit harder to learn than WordPress, but it more flexible and it can adapt to your desire. Next ArticleMonitoring your DNS, should you do it?